With more and more companies going remote, they’re forsaking having everybody in the office five days a week. They’re letting people work remotely, and I think as an individual contributor that can be fantastic. As a manager, that can be particularly challenging. I asked Kevin, how this topic come about and how to manage remotely and do it well. 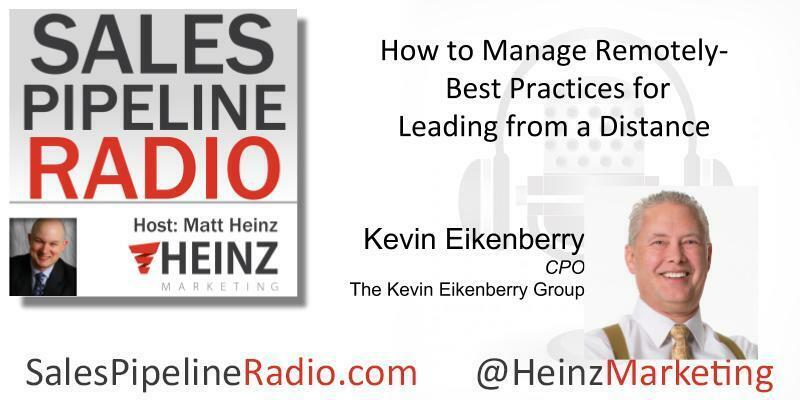 Listen in to our great conversation below or read the transcript on the Heinz Marketing blog starting Mon. 7/9/18. This entry was posted on July 6, 2018 at 10:03 pm and is filed under Hire Power Radio with tags Guest: Kevin Eikenberry. You can follow any responses to this entry through the RSS 2.0 feed. You can leave a response, or trackback from your own site.